Weihai Woda New Material Co.,Ltd specialized in manufacture all types of cat litter packaging pouches. We have experience in cat litter packaging pouch more than 17 years. After years of production experience and quality testing .We are sure to be able to provide high quality cat litter packaging pouch. As we all know, animals are human’s friends. And cats are like family for cat lovers. A clean cat litter packaging pouch is very, very important to those who share their homes with cats. 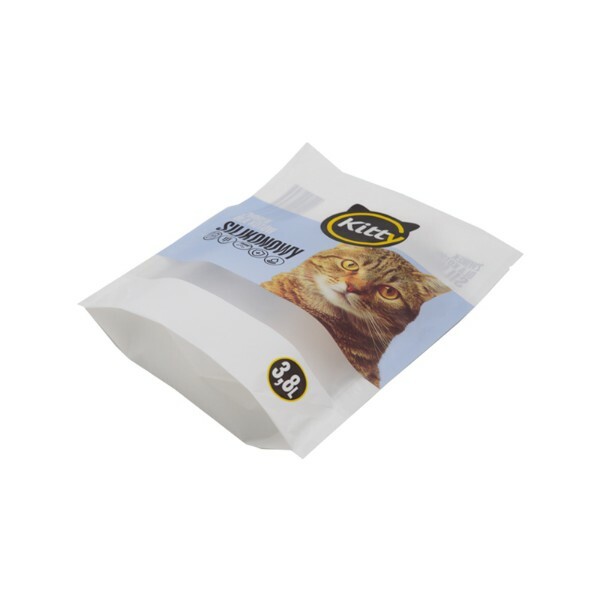 Therefore, our company has launched cat litter packaging pouch to facilitate the cleaning of pet cats. Whether used or stored, cat litter packaging pouches are really convenient for people. When it comes to environmental impact, cat litter packaging pouch provide a 'green' alternative to boxes and cans. 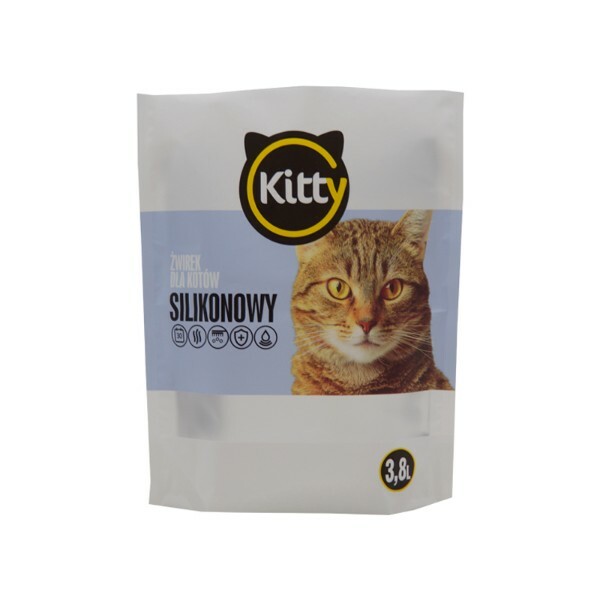 Durable, versatile, convenient, aesthetically pleasing and environmentally friendly, cat litter packaging pouch perfectly meet all the requirements. 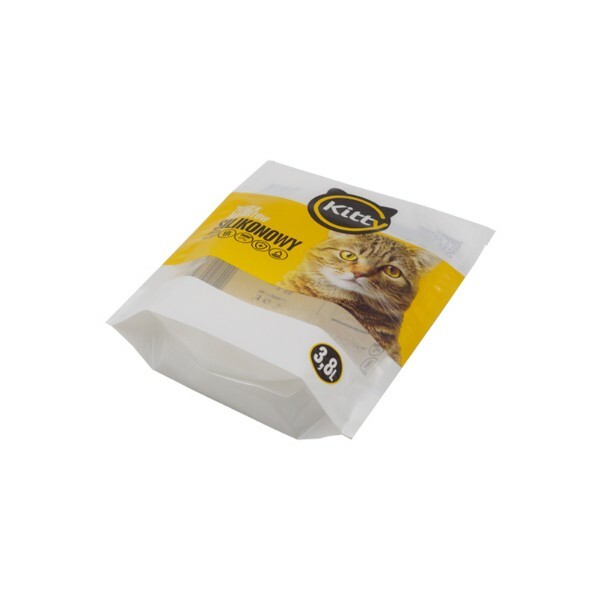 1.Cat litter packaging pouch is durable, waterproof and moisture proof. 2.The material of cat litter packaging pouches are all food grade. 3.Cat litter packaging pouch is approved with FDA & ISO9001. 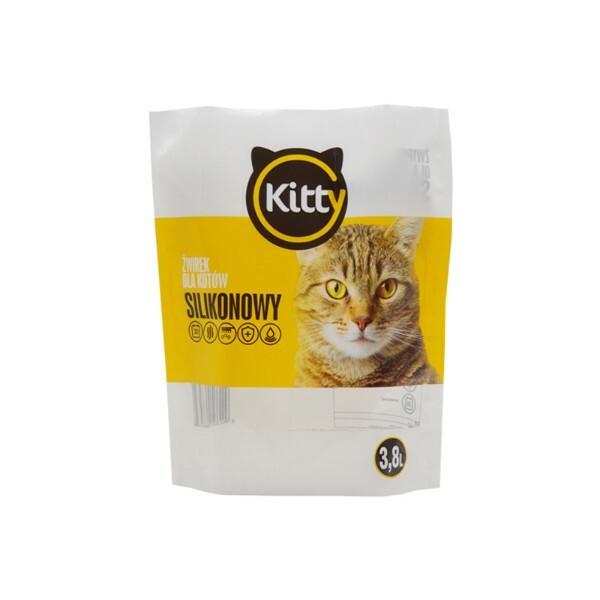 4.Cat litter packaging pouch is customized printed with customers’ own LOGO. 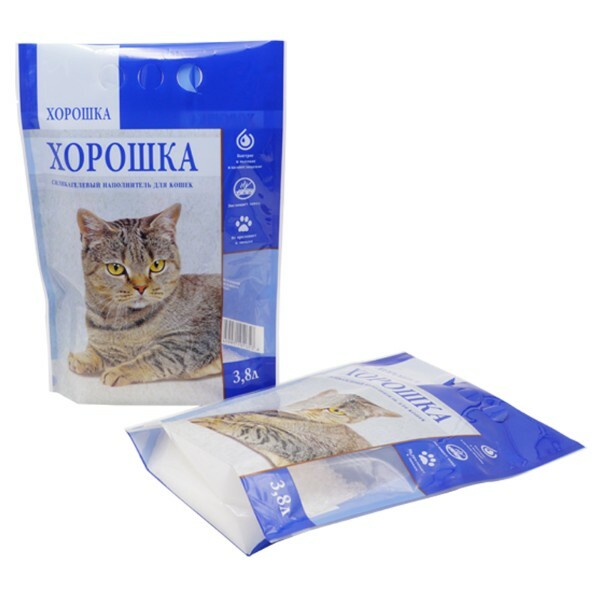 5.Cat litter packaging pouch is excellent standing effect and strong sealing. 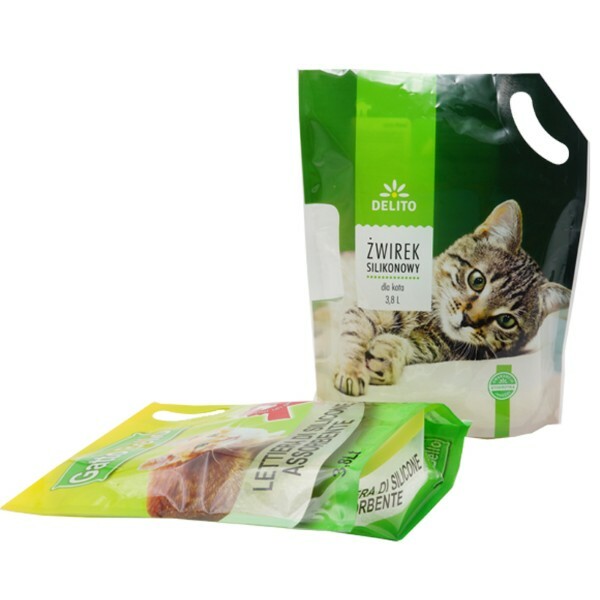 6.Cat litter packaging pouch is easy to carry, store and transportation. 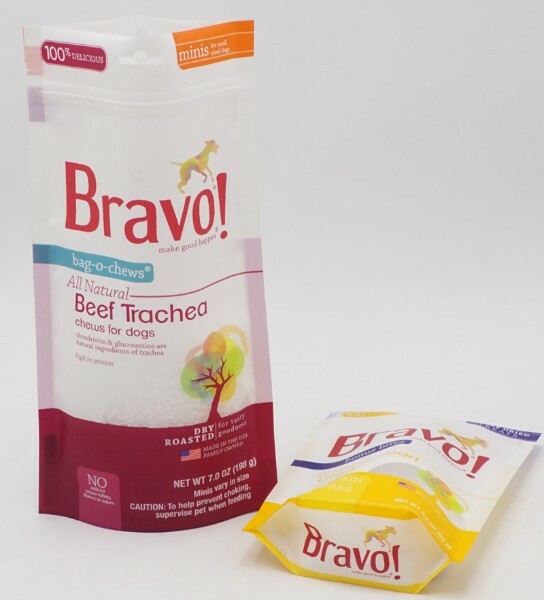 7.There are optional resealable zipper, laser score tear notch, hang hole on cat litter packaging pouch. 1.Cat litter packaging pouch is easy to store, comfortable to hold and ready to use by customers. 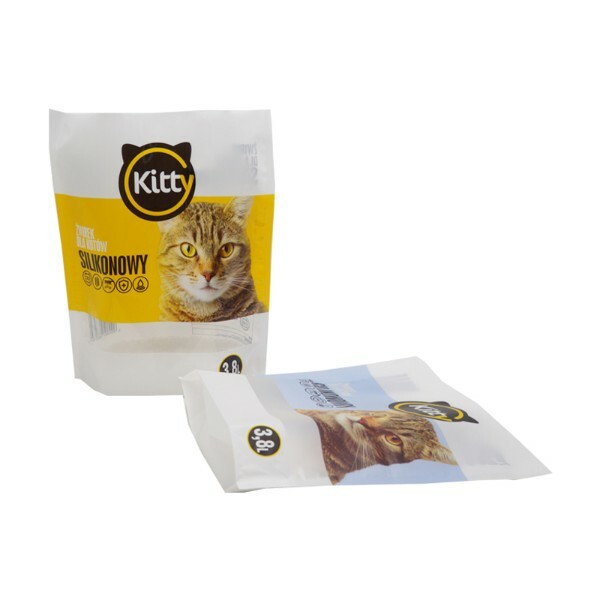 2.Cat litter packaging pouches are puncture proof and will protect cat litter from outside elements such as humidity, illumination and insect. 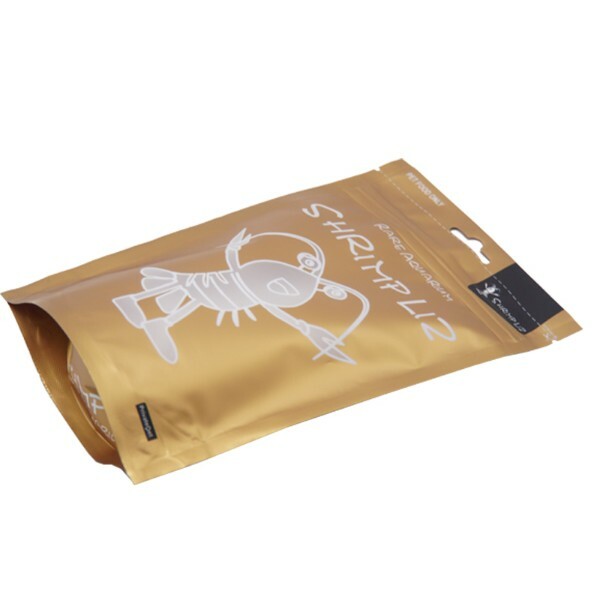 3.Attractive appearance, Cat litter packaging pouch will easy to catch consumer’s eyes. 4.The trademarks and captions on the cat litter packaging pouch is convenient for consumers to identify, and introduce the ingredients, properties, uses, and storage methods of the products, and play a role in facilitating and guiding consumption. 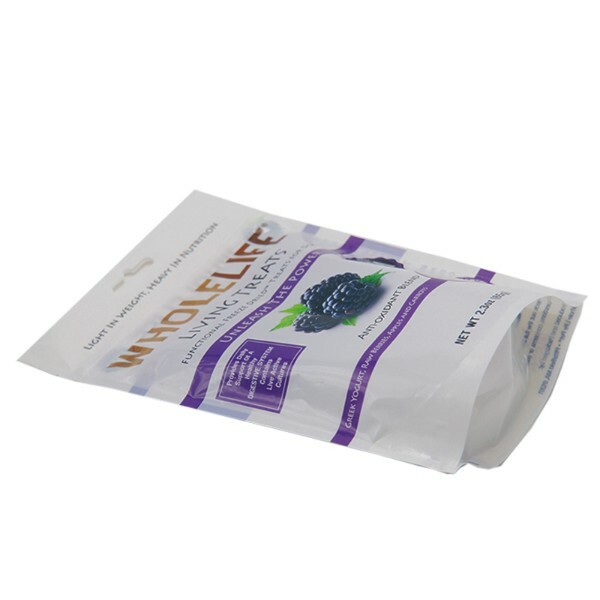 5.Our high quality Cat litter packaging pouch extend the shelf-life of the products. 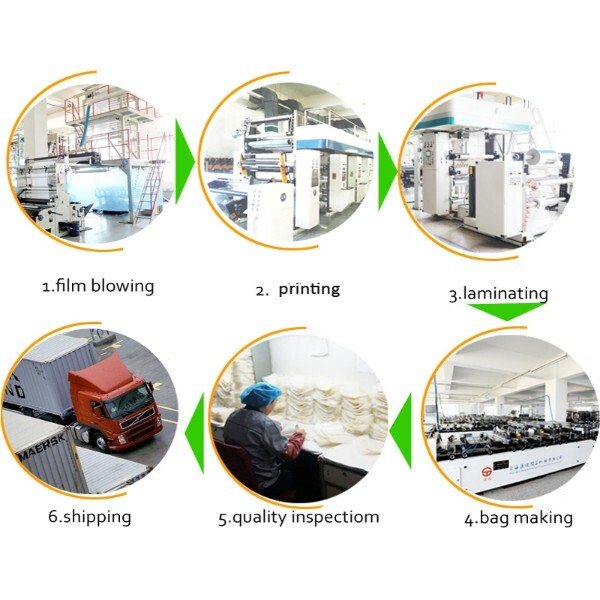 6.We use gravure printing technology to create the latest and unique design of cat litter packaging pouch, you can choose up to 11 colors for your cat litter packaging pouch. 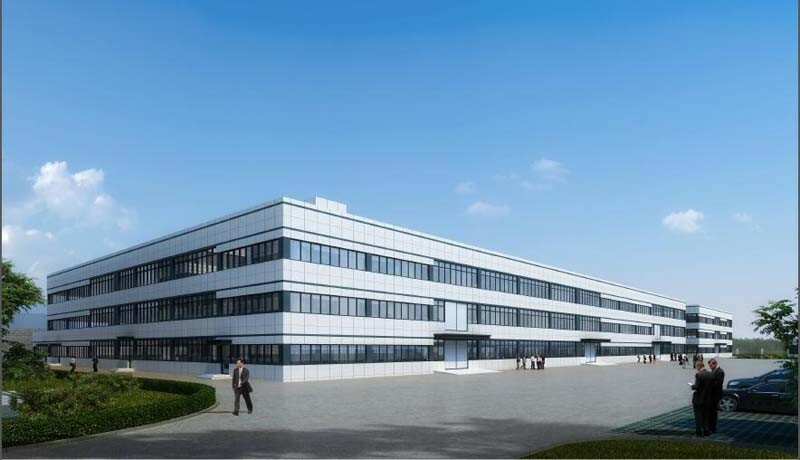 Weihai Woda New Material Co., Ltd. started from 2001, and occupies area over 30,000 square meters. We are a plastic manufacturer which owns many modern advanced flexible packing production lines. 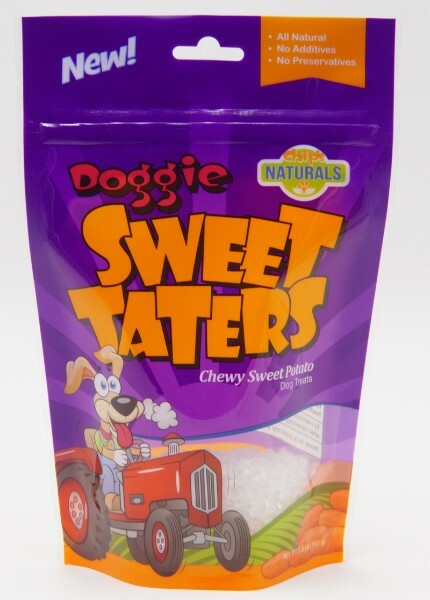 Our products cover range of two big fields: plastic pouch bags and roll stock. 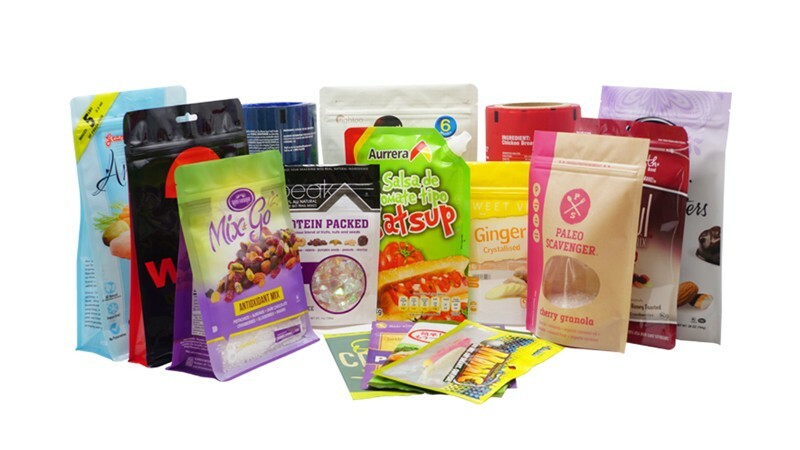 The main plastic bags include flat pouch, stand up pouch, vacuum pouch, retort pouch, laminated aluminum foil pouch, spout pouch, side gusset bag, box pouch etc. Most of our products export to United States, Australia, Europe, Canada, Southeast Asia, Middle East countries and some other regions. 1) 30000 m2 non-dust workshop. 2) More than 100 workers. 3) More than 17 years manufacturing and exporting experience. 4) Two hours reach Qingdao port. 6) Advanced and sufficient equipments to ensure fast delivery. 7) Professional designer team to provide free design. 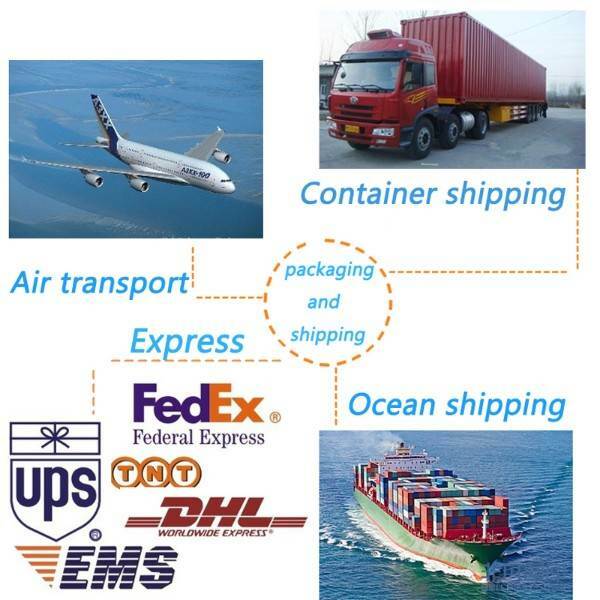 8) 7 days x 24 hours service from experience exporting team. Pets are becoming more and more important, and the design of cat litter packaging pouch has become highly regarded. Of course a good supplier for cat litter packaging pouch is more important who will realize your design perfectly. Believe our factory Weihai Woda New Material will be your good choice.